Prof. Goldin was Vice President of the World Bank (2003-2006) and prior to that the Bank’s Director of Development Policy (2001-2003). He served on the Bank’s senior management team, and was directly responsible for its relationship with the UK and all other European, North American and developed countries. Goldin led the Bank’s collaboration with the United Nations and other partners. As Director of Development Policy, Goldin played a pivotal role in the research and strategy agenda of the Bank. From 1996 to 2001 he was Chief Executive and Managing Director of the Development Bank of Southern Africa and served as an adviser to President Nelson Mandela. He succeeded in transforming the Bank to become the leading agent of development in the 14 countries of Southern Africa. During this period, Goldin served on several Government committees and Boards, and was Finance Director for South Africa’s Olympic Bid. Born in South Africa, Goldin has a BA (Hons) and a BSc from the University of Cape Town, an MSc from the London School of Economics, and a Doctorate from the University of Oxford. In addition to being Director of the School, Goldin is the Oxford University Professor of Globalisation and Development and a Professorial Fellow at Balliol College, Oxford. Goldin has received wide recognition for his contributions to development and research, including having been knighted by the French Government and nominated Global Leader of Tomorrow by the World Economic Forum. He has published over 50 articles and 18 books, the most well-known being „Globalisation for Development: Trade, Finance, Aid, Migration and Ideas” (Palgrave Macmillan, reprinted 2007), „The Economics of Sustainable Development” (CUP, 1995), „Exceptional People: How Migration Shaped our World and Will Define our Future” (Princeton University Press, 2011), „Globalization for Development: Meeting New Challenges” with Kenneth Reinert (Oxford University Press, 2012), „Divided Nations: Why global governance is failing and what we can do about it” (Oxford University Press, 2013), „Is the Planet Full?” (Oxford University Press, 2014) and „The Butterfly Defect: How globalization creates systemic risk and what to do about it” (Princeton University Press, 2014). 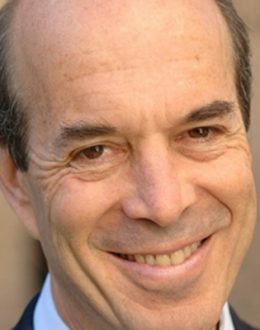 In addition to being Director of the Oxford Martin School, Goldin is the University of Oxford Professor of Globalisation and Development and a Professorial Fellow at Balliol College, Oxford.